"Book this place! I can't put it any more simply than that. 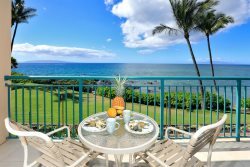 The location -- off noisy, traffic-ridden Kihei Road, on a quiet side street..."
"Our family had a wonderful stay at Punahoa this year, and we are looking forward to staying there next year as well. The condo is bea..."
"I cannot say enough nice things about this place! The entire property is well cared for! Clean! No bugs! AWESOME LOCATION! 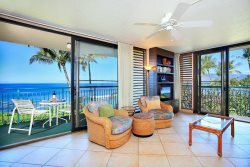 The views ar..."
Welcome to Punahoa Beach Condominiums (formally Punahoa Beach Apartments). 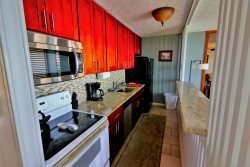 We offer vacation rentals in our private, quiet 15 unit building which is just steps away from the warm Pacific Ocean. Our location is one of Maui's best! 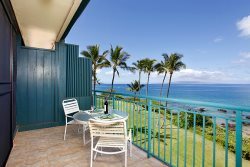 Beachfront in South Kihei, we are between Charley Young and Kalama Beach Parks and close to the Kihei-Wailea shops, restaurants and championship golf courses. Come and experience your dream vacation in our spectacular setting! When you contact Punahoa Beach, either by phone or email, you will be speaking to one of our helpful office staff. We will help you make your reservation, provide the keys for you when you arrive, and help you with any questions or concerns. We pride ourselves on friendly, personal service with plenty of "Aloha Spirit" that makes Maui famous. We look forward to seeing you soon in sunny Kihei, Maui. the office! We may still be able to accommodate you! 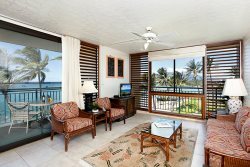 © 2019 | Punahoa Beach Condominiums - All rights reserved.